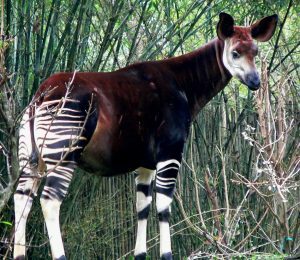 Okapi, also known as the Forest Giraffe or Zebra Giraffe, are African herbivores with close resemblance to both the zebra and the giraffe. They were not distinguished by the western science as a distinct species until the early 20th century. Okapis are very shy-natured, secretive animals native to the Ituri Rainforest of Central Africa at the north-eastern regions of the Congo. They are giraffid artiodactyl mammals, first described in the late 19th century to western zoologists by Sir Harry Johnston, a British explorer, and are one of the two living members of the Giraffidae family, the other member being the giraffe. 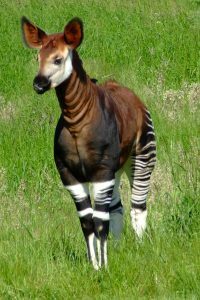 Physical Features: Okapis have long neck as compared to the body. This is a distinctive characteristic to the family they belong to. The head is also long and have a dark muzzle, with big ears set back. Size: On an average, Okapis are 2 – 2.2 m (6.5 – 7.25 ft) in length, and tail being about 30 – 42 cm (12 – 16.5 inches). Weight: An Okapi can weigh up to 200 – 350 kg (440 – 770 lbs). Skin: They have a very thick skin covered with fur of velvet coat, covered with oily body hair, which can repel water. Color: Okapis carry colors red, brown, black and white on their body. They are covered with reddish brown fur. 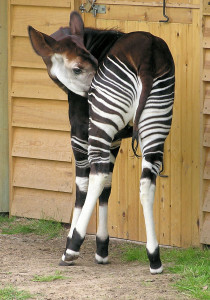 The hind quarters and the tops of their legs are covered with horizontal stripes of black and white. The ankles are white and have dark spot above each hoof. Tongue: One of the most striking features is the tongue, which is very long and black in color. It can reach and grab the higher branches of trees and can pull them down. 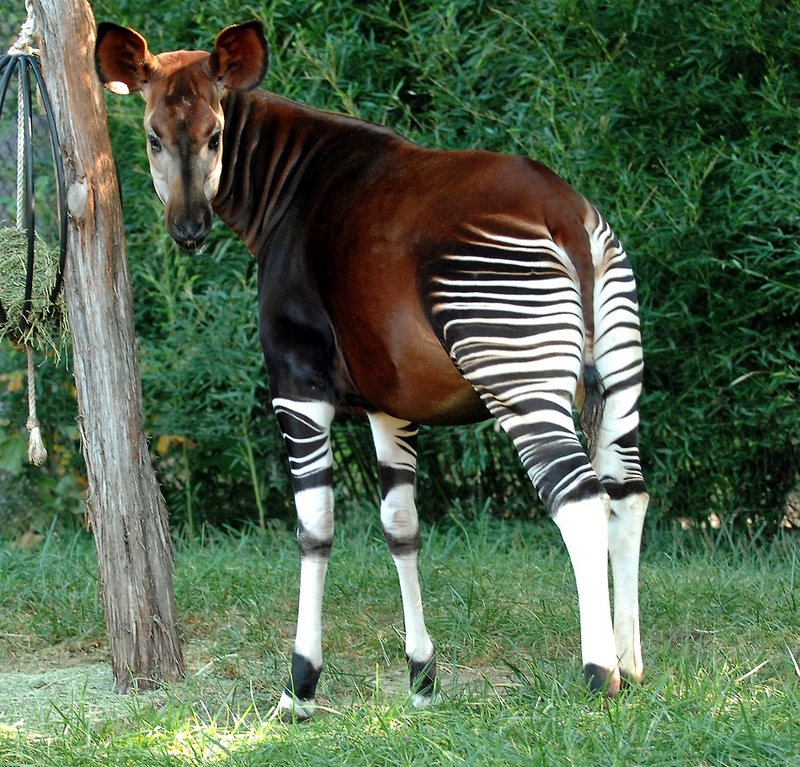 Okapis are native to and are found mainly in the north-eastern regions of the Democratic Republic of Congo. These mammals are generally found at an altitude varying between 500 and 1,000 meters. Though Okapis are thought to be found abundantly in their native region, but they have severely been threatened by habitat loss mostly through deforestation. The Okapis prefer areas where there is slow-moving fresh water source. The range of these creatures has now got limited by natural barriers, including unsuitable habitats surrounding them, which has trapped these timid animals into the 63,000 km² Ituri Rainforest. 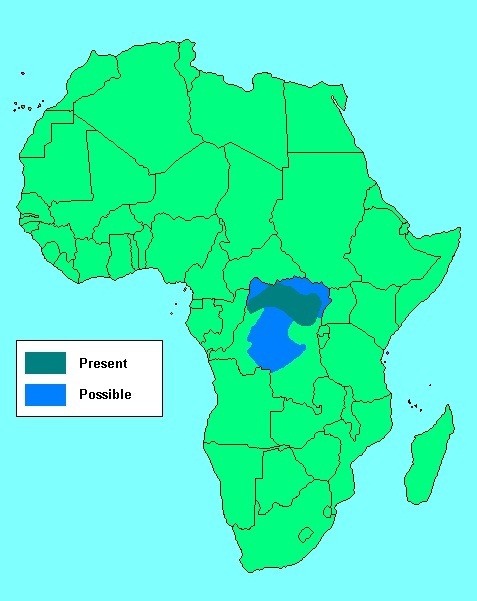 In the present day, almost one-fifth of this rainforest is made up of the Okapi Wildlife Reserve, which has been declared as a World Heritage Site. Okapis are herbivorous animals, and their diet includes more than 100 species of plants. They live only on plant matters like leaves, twigs, shoots, berries, fruits etc. These animals even eat fungi occasionally. Amongst the plants they consume, there are even species of poisonous plants which are fatal to other animals and humans. Okapis also eat a particular type of reddish clay, which provide them essential minerals and salts. Okapis are not gregarious creatures. They are generally found roaming around the forest independently. However, okapis are known to tolerate other individuals and can spend a short period of time feeding in groups. Although, the mother spends time moving around with the okapi baby. Okapis are gentle creatures and extremely shy and timid by nature. They are diurnal beings. They rely heavily upon their sharp sense of hearing, since they are not able to see very far at all in the forest. During daytime, Okapis spend long hours in search of food. They are territorial by nature. 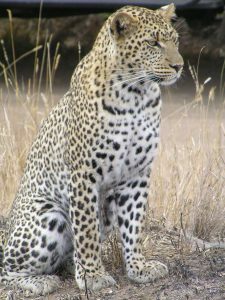 The males tend to mark larger territories than the females. A male okapi would normally mark their territory by urine or rubbing their necks onto trees. However, the aim of an okapi marking its territory is mainly to limit their own areas for resting and sleeping. Two male okapis use their necks to fight with each other during territorial disputes, or as competition during mating with the female. Okapis have a life expectancy of about 25-30 years in captivity. However, data from wild populations is unavailable. Okapis live a solitary life, and come together only during mating. 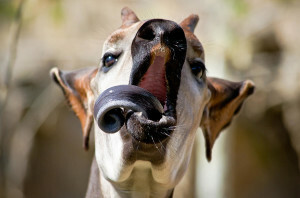 Since okapis are rarely seen in the wild, their courtship and mating rituals can only be witnessed in the zoo. The courtship is begun by the partner by sniffing, circling and licking each other. Finally, the male okapi asserts its dominance by tossing its head while extending its neck, and by thrusting one leg forward. Soon after, the male mounts the female and ends in copulation. After mating, the male and the female part their ways. Generally, the female okapi breeds every two to three years. It begets one baby at a time, but seldom twins. The baby okapi looks identical in color pattern to the parent. The gestation period lasts 14-15 months. 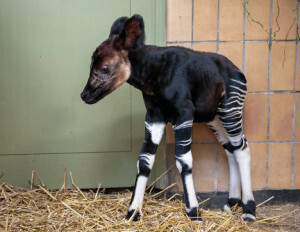 The okapi baby is weaned usually at 10-12 months. However, the baby may stay with the mother even for two or three years. Usually, the okapis are quiet by nature, but can make sounds. These creatures communicate with each other by quiet ‘chuff’ sounds, especially when greeting each other and even do the same to their zoo-keepers at times. The calves or the baby okapis “bleat” to their mothers, while some even make mild “moo” noises. Since okapis live in secluded rainforests, they have a lesser number of predators. However, the most common natural predator of okapi is the leopard. 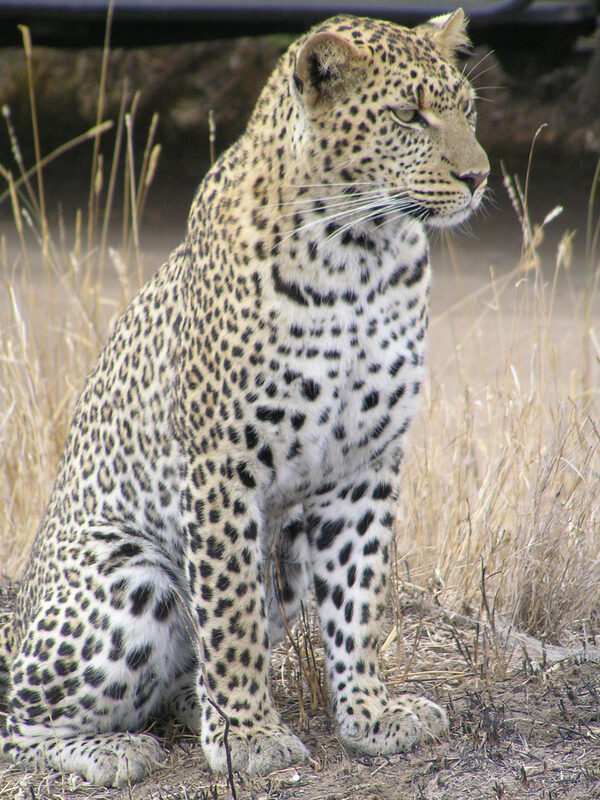 Leopards attack both the adult and the young okapis, although, the latter are more vulnerable. The serval is also an enemy to these timid herbivores. Humans too pose threat to the okapis. 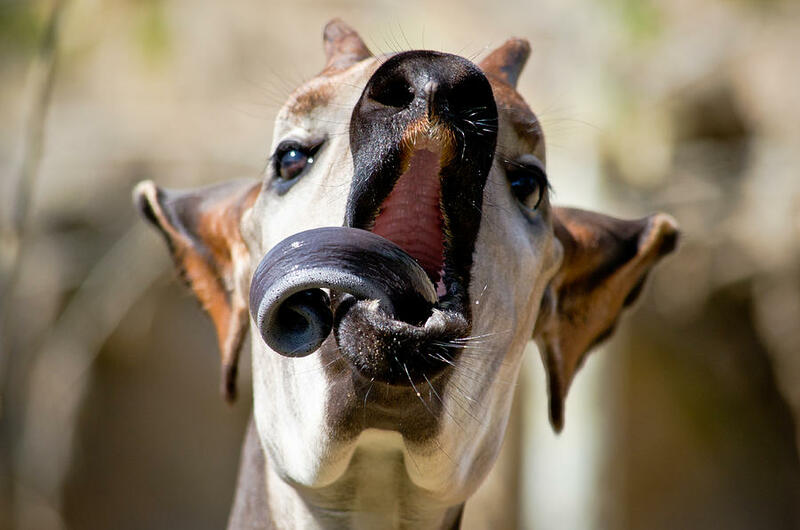 By evolution, the okapi feeds on an incredible variety of plants, for which reason, their stomach is very hardy and adapted to digest many hard-to-eat foods like the vermilion wax cap mushroom. Okapis live in high altitudes of up to 1000 meters. For this, they have smaller hooves so as to help them climb up to reach to the area of their desired food, as also, to sink their feet in the mud by the rivers and water bodies, where they often visit to consume red mud. The frontal reddish brown color of the okapi helps it to blend itself with the red mud. 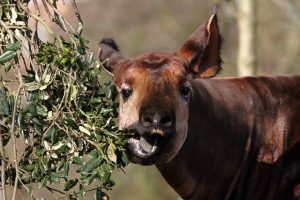 Because okapis feed on different types of plants, hence, its long tongue helps it reach those breeds of plants whose branches hang higher above. Since the okapis are hard of vision, their long, protruding ears of the okapi has made the animal extremely sensitive to sounds, so as to help them track their predators or any impending danger. 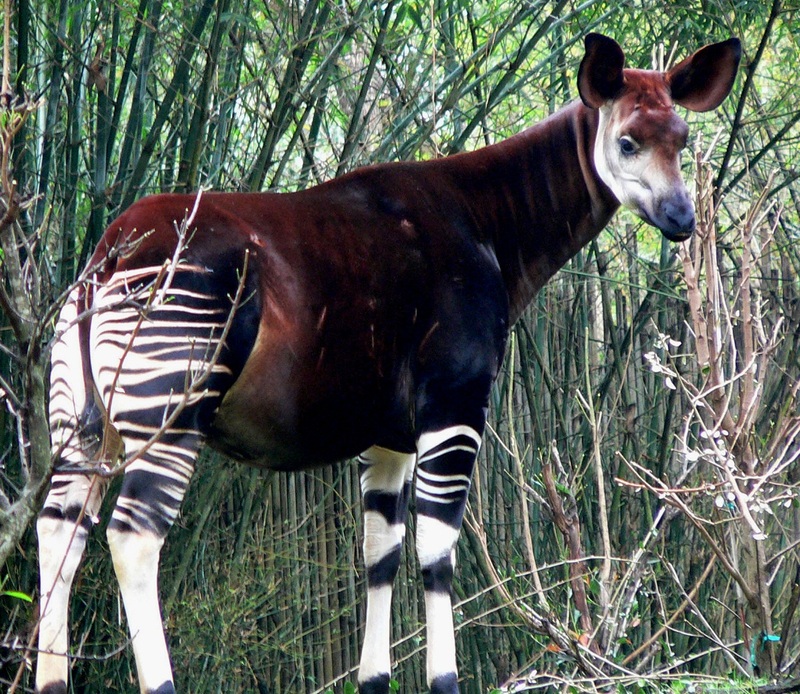 The okapi population is low. 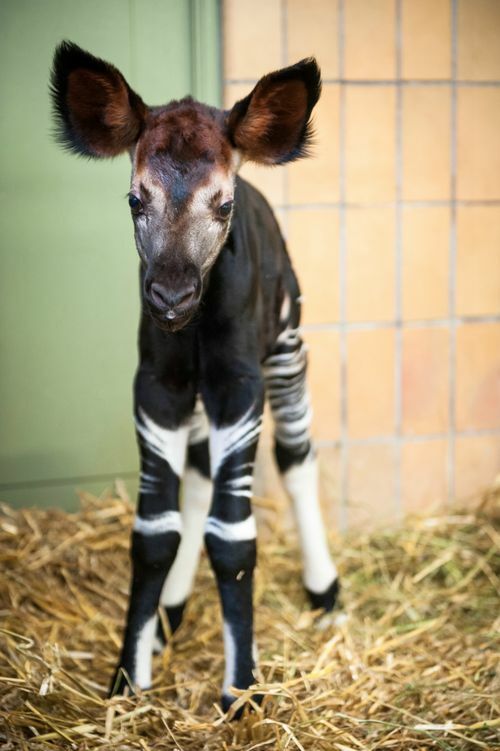 As the IUCN has last estimated that, there were just between 10,000 and 35,000 individuals left in the wild, the okapis have been categorized under category ‘Endangered’ (IUCN 3.1). The most prominent reason for the endangerment of the okapis is the destruction of the tropical rainforests in Africa. 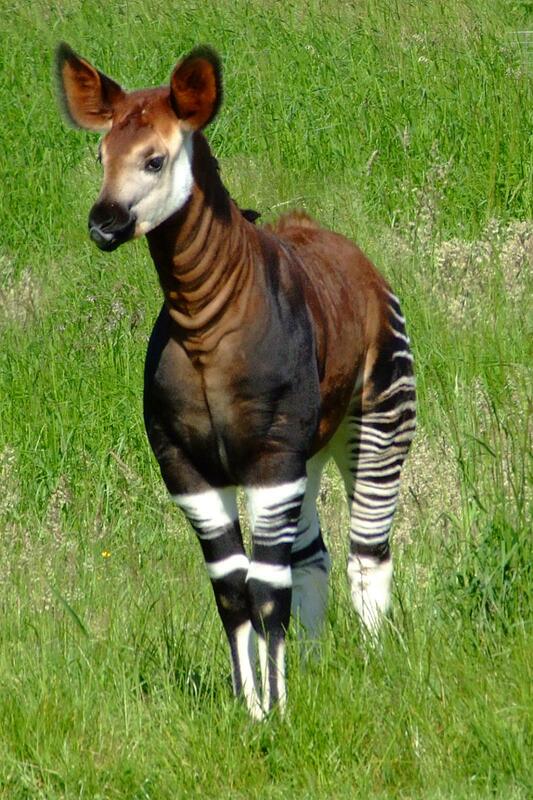 There are no subspecies or classification of the okapi. In the scientific name Okapia johnstoni, the name ‘Okapia’ has been derived from the Lese Karo name o’api, whereas, ‘johnstoni’ is in honor the explorer, Sir Harry Johnston, who discovered the animal in 1901. The radio station ‘Radio Okapi’ in Democratic Republic of the Congo, and the African knife ‘okapi knife’ has both derived their names from the animal. this is an amazing website, helped immensely on my project!!! !